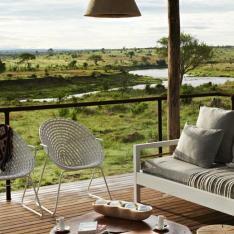 Singita Lodges & Private Game Reserve in South. 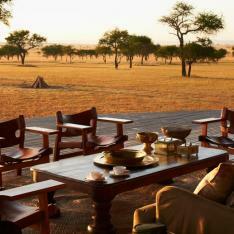 Africa, Tanzania, Zimbabwe is ideal for retreats, gatherings, getaways, travel. 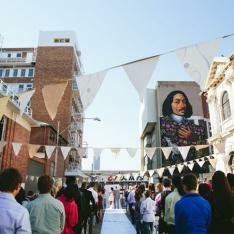 Calling all contemporary explorers! 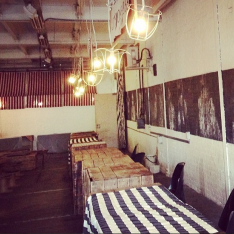 Are you looking for an venue where you can throw on your expedition hat and host a dusk to dawn gathering? Every once in a great while a place comes across our Reporter desks that evoke within each and every one of us a collective longing. A longing found within the deepest reaches of our hearts, in a dusty corner, long lost but never forgotten. 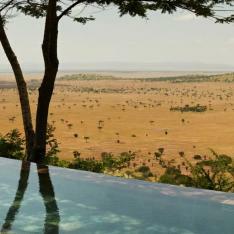 An exquisitely perfect locale to exercise our wayfaring wanderlust and our inexhaustible belief that the greatest lessons in life are experienced, not learned in the dusty tomes of any measure of stately university. 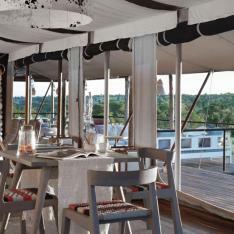 Today we bring you a collection of venues in Africa, that are embarrassingly easy on the eyes. 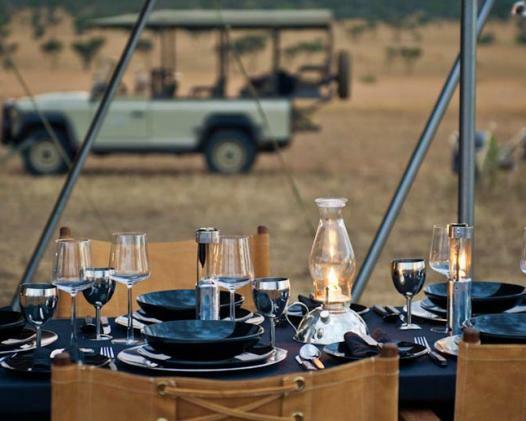 So round up a cavalcade of your closest for a spectacular safari soiree and have both a literal and proverbial Moveable Feast worthy of the great Hemingway himself. 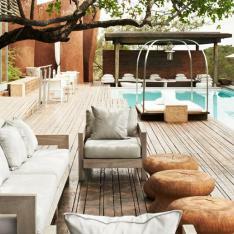 Singita, ('place of miracles') is a collection of twelve luxury lodges and camps located in three different countries - South Africa, Zimbabwe and Tanzania - all situated on the African continent. 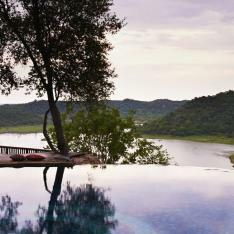 Singita Lodges perpetuate the prolific ideal of Africa as the last, great untouched wild on Earth, evoking the glamorous Hemingway-era 1930’s but with a gloss of contemporary cool and utter dedication to the pristine preservation of the land and it’s magnificent wildlife. HOW WILL MY GUESTS GET HERE? 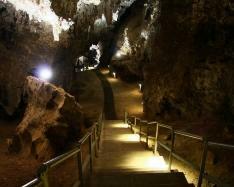 : Flights to the South African lodges route through Johannesberg. From there one can hop either a private charter or scheduled flight to Satara or Singita private airstrip or take an air-conditioned car from Johannesberg. 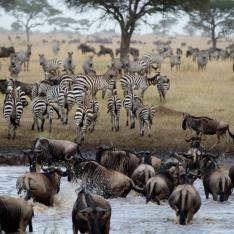 Flights to the Tanzania lodges will route through Kilamanjaro. 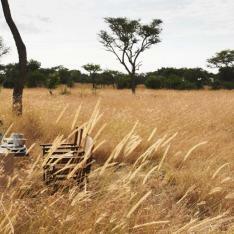 From there one can hop a private charter or scheduled flight to Singita private airstrip. 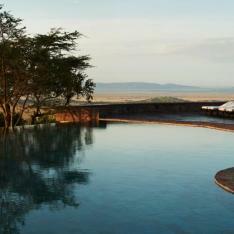 This is recommended as the drive from Kilamanjaro is approx 7 hours. The hardest part of your event planning will making be the decision of which lodge to host your soiree at and in which region? 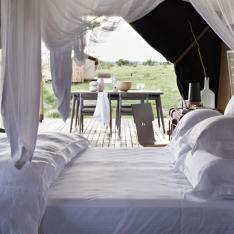 Will it be the Sabora Tented Camp, Sasakwa Lodge, or one of the other luxury lodges in Tanzania? 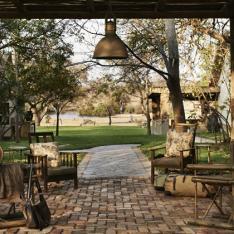 Or will you host your gathering at the Singita Boulders Lodge in Sabi Sand South Africa? 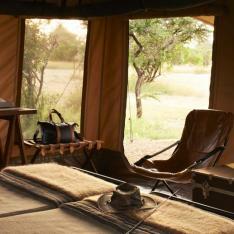 Of course there are the mobile camps in Kruger National Park or the solo property set in Zimbabwe. Here you may spot "Elephants in the mist. In the early mornings there’s a low-lying layer of mist that makes everything eerie and mysterious, but oh so beautiful when an animal appears from the shrouds." 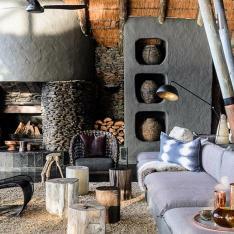 Singita believes in ‘fewer beds in larger areas’: the idea being that a minimal number of guests will have a minimal effect on the land and its fabulous flora and fauna. 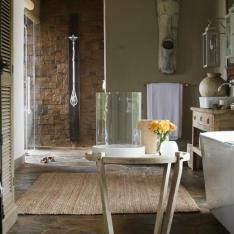 This benefits the environment but also makes for a bespoke, intimate experiences for your guests. 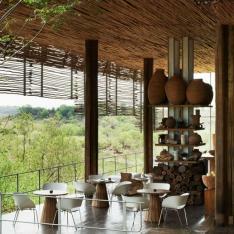 Singita takes much of it’s inspiration for the lodge design, from the natural surroundings. The walls mimic the gentle curve of a riverbed with stately, weathered boulders. 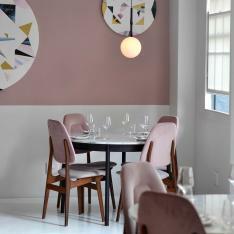 The muted beiges, accented with the vibrant reds, pinks and oranges will remind you of the African sunsets. 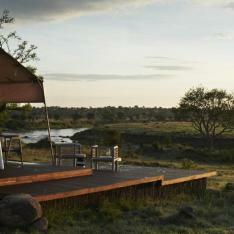 The lodges sit low to hover over gentle riverbeds and streams. They are also perched among the branches of forests like great towering eagles nests. Based on your event needs be it intimate wedding, group getaway, dinner party, birthday or anniversary party, the friendly staff will arrange a customized event tailored to your specific tastes and needs. Most importantly, they notice the small things that make all the difference. Have a penchant for diet coke? They’ll know by day one. Tired and a little sore from gaming all day? You’ll come back to an already drawn bubble bath scented with local herbs. 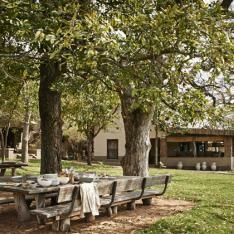 In addition to the stunning landscape and sensational wildlife viewing and impeccable décor, your guests will be a treated to a wide variety of activities ranging from swimming, tennis, croquet, spa treatments as well as informal cooking classes in the lodge kitchens or the staff villages. Each lodge is an absolute standout for a variety of reasons and in fact, it’s their individuality which makes them so special. Singita Castleton, while allowing for only (12) guests has a private watering hole in the boma and stages cooking classes in the country-style kitchen on the property. Sounds like a splendid spot to celebrate your anniversary. 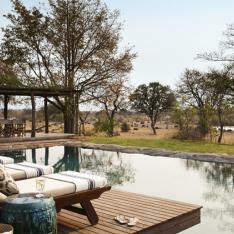 Singita Ebony, the original lodge, is set on 45,000 acres of ‘big cat’ country in the Sabi Sand Reserve and boasts (12) suites with their own infinity plunge pools. Absolutely perfect for a carousing cavalcade of your coolest compadres. 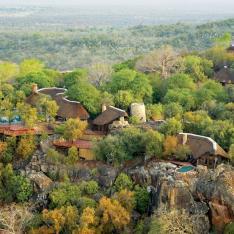 We musn’t forget Singita Boulders Lodge and Singita Lembombo – with (10) and (15) suites between them would be the unrivaled frontrunners for ‘marry’-making. 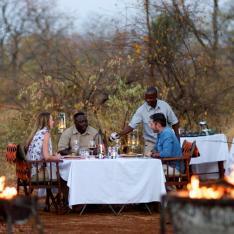 Guests are invited to join the weekly bush dinners that occur at each of these lodges. 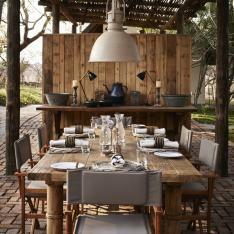 Think Ralph Lauren South African Vogue photo shoot tablescape set with real china under the inky, night sky, lit only by hanging lanterns and the stars. 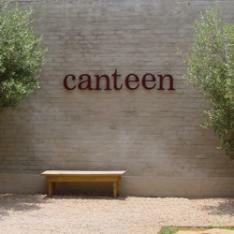 These can also double as rehearsal dinners, anniversary or birthday parties – or even a wedding reception. STYLE FOR YOUR SETTING 1930’s meets 007. Black tie. Sequins. Gold accents. Piano players/horns. White on white on white. 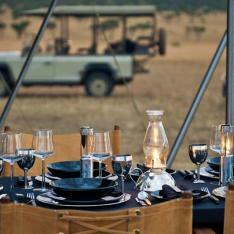 How unique would it be to have a black tie soiree in the middle of the African bush?! 1. 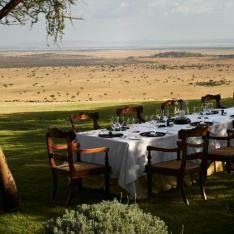 Style your Safari Soiree: be it an intimate wedding or a dinner party as a swank bohemian black tie affair. Think 1930’s meets 007. White tuxedo, black bow-tie and red flower adorned lapels for the gents, slinky sequins for the dames. The Balmain Resort Collection 2012, is the perfect look to channel. 2. 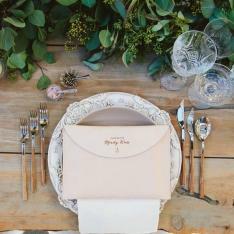 A Glittering Affair: To add a little glitz and texture to the venue, don’t overdo the accessories, but pick the ones that will add instant drama. 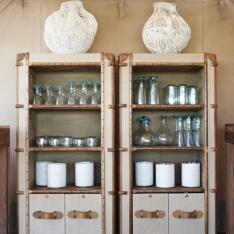 White, antique china and chargers add romance, while silverware with wood accents works with the safari setting. 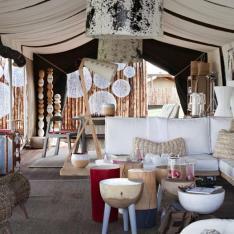 We love this mix of glam and traditional African Boma. - Casa De Perrin 3. 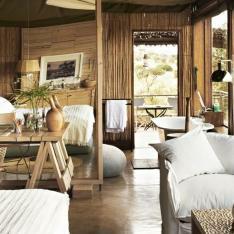 Handsome Hemingway: Of course we have to bring in some masculine touches that evoke the exploration of the safari setting. 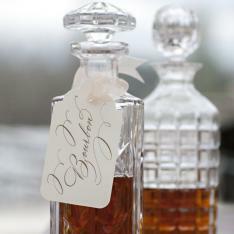 Decant liquor into vintage gold-tipped carafes that adorn the table. 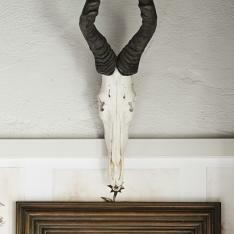 For the ultimate dose of fantasy and glamour – set the scene with a horn or piano player. 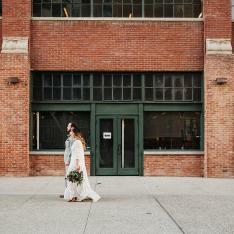 Photo by Patricia Lyons | Easton Events. 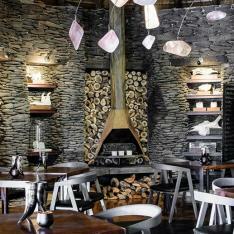 Most of the lodges have exquisitely curated wine cellars and can be easily persuaded into impromptu tastings! Additionally, it's not just pretty here. 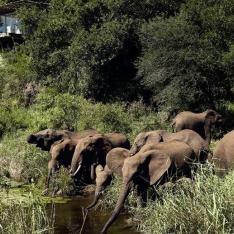 As the world’s human population continues its exponential growth, the loss of pristine wilderness is taking place at an ever-accelerating rate, to counteract this Singita is making a profound difference. 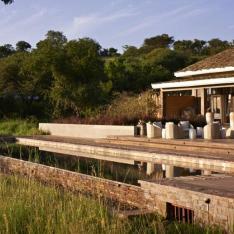 Singita protects the land its sits on as the trusted guardian of over half a million acres of pristine land in Africa. It is responsible for successful community development projects, making a tangible difference in the lives of the people living and working in and around its lodges. 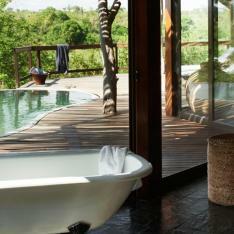 All lodges feature spacious suites with stunning views, some with en-suite plunge pools. 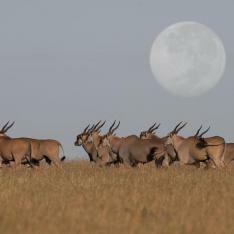 Activities include day and afternoon safaris with knowledgeable, local private guides and evening spotlit treks through the brush. 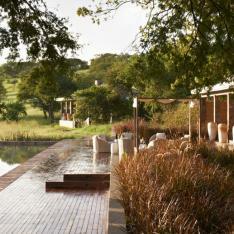 A variety of activities are available for guests: swimming, tennis, croquet, horseback riding, spa treatments. 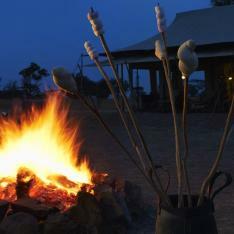 Wine tastings and cooking classes in the staff villages are not to be missed. 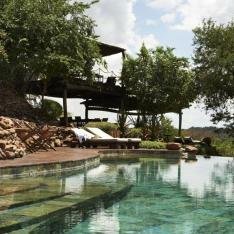 Singita will help schedule all transfers and transportation to and from their properties.